Oktogo.ru now reaches 2000 contracted hotels creating the largest contracted hotels database in Russia and former Soviet Republics. Oktogo.ru boasts the largest and most relevant hotel offering for Russians traveling abroad, including offline payment methods and visa support services. Mangrove CP, a global leading VC firm has become a shareholder, alongside ABRT and French fund Ventech VC. Javier Perez-Tenessa, the founder and CEO of eDreams, Fabrice Grinda, founder of OLX, and Jose Marin, founder of IG Expansion, have joined the company as investors and advisors. The $5 million investment will help oktogo.ru continue contracting Russian hotels throughout the country and provide a unique online presence to most of the approximately 7000 Russian hotels, accelerate the growth rates and to build a recognized brand in Russia. On April 5th,2011 , under the auspices of The Entrepreneur's Club and the Europe Club of the Stanford Graduate School of Business 6 international groups and their members met to hear entrepreneur, turned academic, and frequent writer on TechCrunch and in Business Week, Vivek Wadhwa. Vivek give his insights about startups, and countries like Russia and Chile trying to recreate Silicon Valley as well as future prognostics about the loss of key international talent leading to America's current brain drain. 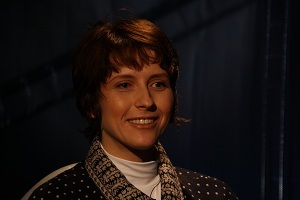 Audience members widened the topics discussed and made the evening a truly global one. Leonid Gozman talks to over 80 Russian-speaking expats at TEC event in Palo Alto about the real meaning of the Russian modernization program. Is it a myth or reality? Leonid Gozman is a Board Member of RUSNANO, a $10B Russian State Corporation of Nanotechnologies and a Co-Chairman of the Union of Right Forces Party (democratic opposition). View more presentations from TEC. In response to multiple requests, we are organizing another social event in New York. Please join us at the TEC-NY Spring Social (Wed, March 9th, 7PM). This will be an excellent opportunity to meet your fellow Entrepreneurs Club members, network, share experiences, as well as simply have fun in a less formal environment and have an additional celebration of International Women's Day! Mark your calendars and make your plans to come and meet our distinguished speaker from London, Mr. Varel Freeman, COO and the First Vice President of the European Bank for Reconstruction and Development (EBRD). TEC is fortunate to host Mr. Freeman for a keynote address and the Q&A discussion that will follow. 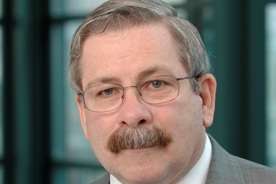 Mr. Freeman will discuss the challenges and the benefits of investing in the emerging markets. Varel Freeman oversees all banking operations of the EBRD. He chairs the Operations Committee which reviews all investment and loan proposals before consideration by the Board of Directors, and oversees the formulation of the Bank’s strategy to effectively and efficiently promote the transition of the 30 countries where the EBRD invests. Mr. Freeman is also a member of the Executive Committee. 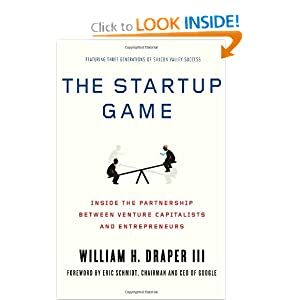 Tim Draper's Dad Wrote a book "The Start Up Game"
and it is about the partnership between venture capitalists and entrepreneurs. Read more about Tim Draper's Dad Wrote a book "The Start Up Game"
View more presentations from staskh. A special TEC discount for GigaOM BigData conference in New York! That "fire hose" of information pouring through your company's databases and systems? That data, whether real-time or historic, presents an enormous opportunity to gain business insights to maximize profits and improve products. 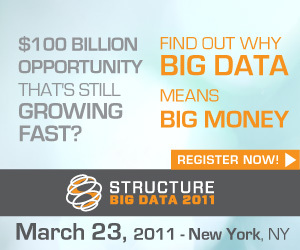 Structure Big Data,GigaOM's newest conference, is focused on helping technology executives develop a big data strategy. Turn your company's information into your next big revenue opportunity. Hadoop. What is Hadoop; what does it mean for the enterprise; and how does it power so many innovative solutions out there? Real Time Data. How can you prepare yourself to drink from a fire hose of data? MapReduce 101.Before you make MapReduce a core part of your data strategy, understand better what it is and what it can do. Commodity Scaling.Can you scale your storage needs quickly and cheaply? Security and Integrity. How do you know that petabyte of data you uploaded to the cloud is still there without downloading it again? Data Consistency.You have data everywhere around the world. How do you make sure it’s always up-to-date and consistent? In its charter year, we promise another landmark GigaOM conference with speakers representing the major technology companies as well as startups with significant new ideas in the storage, intelligence and discovery spaces. TEC members register today and save 25% off the Early Bird rate!